If you live in West Palm Beach, FL you know that the business market, no matter what that business may be, is a very competitive one. This always leaves the question of “how do I make my company stand out above the crowd on the Internet”? Five years ago the answer may have been to have an incredible website that promotes your business online. Unfortunately, that is not enough anymore. 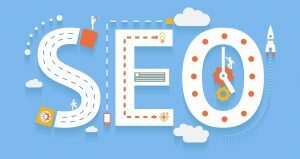 Today, if you want your company to shine you have to take advantage of the best West Palm Beach SEO services on the market. WebDesign499 delivers the industry best Search Engine Optimization services throughout South Florida. For most people, SEO (search engine optimization) is a foreign language. SEO is basically your West Palm Beach company’s fast train to getting customers to your main website. SEO increases the volume of visitors by ranking your website high on the search result pages. Still lost? As a company owner in West Palm Beach, Florida, when a customer searches the internet for your business, do you want to pop up on Google, Yahoo, or Bing as number 37 on page 6 where nobody will ever see you or do you want to be one of the top 3 on page 1? We all know what the answer is, so with that being said, working with the best West Palm Beach SEO agency is extremely important. Most of us are not even in the realm of understanding how Search Engine Optimization (SEO) works let alone being able to tackle it ourselves. This means hiring a West Palm Beach SEO company to do it for you. Before you go out and decide to hire someone in the West Palm Beach area to do your company’s SEO and online marketing, there are a few things to remember. 1. Good SEO can up your business by tens of thousands of dollars per month while bad West Palm Beach SEO and Internet Marketing can cripple your business for a considerable amount of time. You never know the expensive cost of hiring an amateur until you do! 2. If it seems too good to be true, it probably is. SEO takes time to work! If someone promises you results overnight, run the other way! 3. SEO IS NOT CHEAP. With that being said, the higher the price does not always mean the better the service. 4. Do your homework. Learn what you can about the basics so you are not just taking someone else’s word about it. 5. Ask for references. No company is going to divulge too much information about their other clients but they can give you something. 6. Make at least a six-month commitment. If they are doing their job they should be able to show you progress by then. 7. Please understand that once you are on page 1 you will not stay there without constant work, so do not fire your West Palm Beach SEO company once you reach the top! The internet is forever changing and you will need them if you are going to stay on top. 8. Shop around get quotes from different companies and a list of what they can do for you in a six-month period. These are only a few tips to get you started, but be prepared, if your Palm Beach SEO is done right, your company will enjoy growth that you never imagined possible. So sit back and enjoy the ride! The concept behind Palm Beach SEO is seemingly straightforward; excellent Palm Beach Internet Marketing enables companies to more effectively reach their target market. Essentially, Search Engine Optimization is the only form of advertising where a company is able to direct their efforts purely to the people who are searching for their products or services and it has proven to be very effective. If a website fails to convince search engines that it is relevant or important to searchers, then it will not be coming up on the searches at all. A website that gains no exposure is a waste of money. With the prevalence of the internet in today’s society, many businesses are beginning to let go of traditional methods and incorporate different strategies. Local West Palm Beach SEO and SEO Palm Beach has evolved to fit the mold for what businesses need in this technological era and is becoming the go-to source for all future advertising and marketing strategies. WebDesign499 SEO Service Area: Atlantis, Belle Glade, Boca Raton, Boynton Beach, Delray Beach, Greenacres, Gulf Stream, Haverhill, Highland Beach, Hypoluxo, Juno Beach, Jupiter, Jupiter Inlet Colony, Lake Clarke Shores, Lake Park, Lake Worth, Lantana, Manalapan, Loxahatchee Groves, North Palm Beach, Ocean Ridge, Mangonia Park, Palm Beach, Palm Beach Gardens, Pahokee, Palm Springs, Riviera Beach, Palm Beach Shores, South Bay, South Palm Beach, Royal Palm Beach, Wellington, West Palm Beach, Tequesta. SEO & Local SEO Area Includes: 33430, 33428, 33431, 33432, 33433, 33434, 33486, 33487, 33496, 33498, 33426, 33435, 33436, 33437, 33444, 33445, 33446, 33483, 33484, 33458, 33469, 33477, 33478, 33460, 33461, 33463, 33467, 33462, 33470, 33408, 33476, 33480, 33411, 33493, 33414, 33401, 33403, 33404, 33405, 33406, 33407, 33409, 33410, 33412, 33413, 33415, 33417, 33418. One of the fundamental things when it comes to great Search Online Optimization techniques is great content! When incorporating great content into your website structure, this encourages other websites and blogs to link back to your pages and tells Google that your website is interesting and authoritative. A website packed with great content will help lead to great Search Engine success because Google’s main job is to place interesting, relevant websites in front of the user’s face when searching for a particular term. What Is Search Engine Optimization (In-A-Nutshell)? 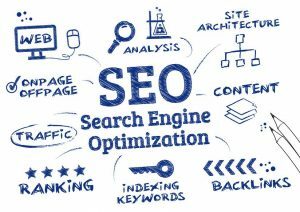 SEO is a set of fundamental strategies and techniques incorporated into an online marketing strategy that ensures your website can be found in the SERPs, or Search Engine Results Pages. When done properly, Search Engine Optimization places your website on the first page of Google, Yahoo and Bing for words and phrases that are very relevant to what your website is offering. In a way, I guess you could call it a form of “Quality Control” for a website. 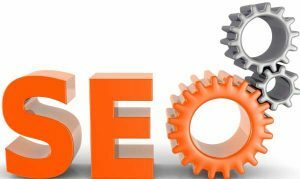 The SEO industry, unfortunately, is very, very misunderstood by outsiders who do not have much working knowledge in the technology industry. All too often, when a prospective client asks an SEO related question, Local SEO Agencies and SEO Firms will confuse that person with technical SEO jargon. When working with WebDesign499, the best SEO company in Florida, we take the time to break it down into simple terms the client can understand. Unlike our competitors, who make Digital Marketing extremely confusing, when you work with the top SEO company, WebDesign499, you don’t walk away with a headache and a hatred for all things online marketing. Let’s try to make this thing we call SEO West Palm Beach as absolutely easy to understand as possible. In a nutshell, SEO means getting your company to show on the first pages of the search engine results. We’re not referring to the paid advertisements at the top and bottom of a search results page, but the organic SEO listings that show when you search for a desired term. Ideally, the point is to put your company website smack dab on the first page, position one, as well as ranking your other company properties, such as your Facebook page, Twitter and Yelp. Imagine occupying several spots of prime real estate on the first page of Google, Yahoo and Bing! Imagine the amount of targeted leads and phone calls that would drive to your business! This is why organic online SEO is so exciting for us at WebDesign499. Nothing is more exciting then when we hear from our clients about how their phones have been ringing off the hook and revenue is skyrocketing! Businesses and individuals optimize their website for one main reason, to attract new business or visitors and to get new customers or clients. It really comes down to being as simple as that! In the age we are living in, if you don’t have an online presence with a powerful website, you might as well not have a business. Your prospective customers/clients expect you to have a website! I can guarantee you that if a prospective customer searches for your business on Google and does not find you, they are moving on to the next opportunity! How much business are you currently losing because you’re not being found online? Are your competitor’s showing up everywhere and you’re nowhere to be found? Working with a local West Palm Beach SEO Company changes that for you! Don’t wait another day ladies and gentleman! The time to hire the best SEO company in West Palm Beach is now! WebDesign499 Palm Beach SEO firm is the absolute #1 premier SEO provider in Florida. Let’s make a lot of money together! What do you say? Stop Wasting Time With Inexperienced Florida SEO Providers – Call (561) 506-0398 For A Free SEO Consultation Today! More and more businesses in West Palm Beach now want to deal only with a local SEO company. The reasons are obvious. There are many advantages of using the services of a local West Palm Beach SEO agency. This is a big advantage of dealing with a local company. 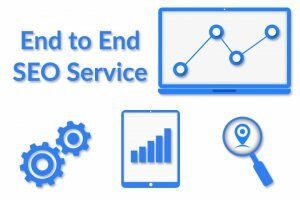 If you search an SEO company through the Internet, you will come across thousands of service providers from all over the world. It is difficult to verify them if they are not from your local area. On the Internet, it is easy to claim anything and get away with it. Building a sophisticated and attractive website does not cost much. Anyone can claim to be a local West Palm Beach SEO expert. You may think you are dealing with a Search Engine Optimization agency, but it may be a reseller or freelancer selling services from overseas (China, Pakistan, India & more). You can avoid all such problems when you deal with a local SEO agency in West Palm Beach like WebDesign499. You can verify our physical address, business registration and other specific details. 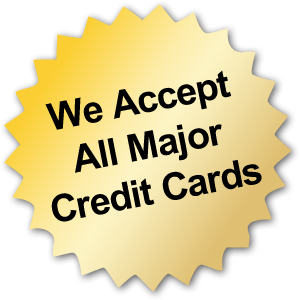 When you deal with us, you are assured of dealing with a genuine, registered and licensed business entity. If you hire any SEO service provider from the Internet, the person or agency may not have any idea about local South Florida SEO trends. Google regularly updates its website ranking algorithms. It has started giving preference to local search terms. There are unique tips and tricks that help local companies come first in the search results. Just placing the name of the local city in your website article is not sufficient to get high ranking in search results. We have expert SEO professionals who understand what works best for local businesses in West Palm Beach, FL and the surrounding area! Our years of experience and specialization in this field ensure that you receive the best quality SEO results. While Internet has made it easier to do business online, there are times when you will want to meet your service provider in person. Being able to meet a local SEO Palm Beach professional in person can be a big advantage. You can strategize, discuss and develop plans related to your web project in our office. It is not necessary to meet us personally to get your project off the ground but if you need it, we are always here to help you. It is easier to convey your requirements in a face to face meeting. You can discuss everything related to your online project. We deliver the result that we promise. We have successfully delivered West Palm Beach SEO services to many clients from different industries. This has given us a good understanding of the local consumer groups. Now we know the area well. We can help you target a specific group of users. For example, your business may require targeting only the young people, female users, senior citizens or tech savvy people. We will help you target your specific group of users with custom SEO plan. Just give us your brief and tell us your preferences and budget. You will receive a well developed SEO solution. We do not offer cookie-cutter solutions to all businesses. The WebDesign499 SEO experts will first listen to all of your business’ specific requirements. Our team of South Florida SEO professionals will develop your project properly. We will take into account the industry in which you are operating, your target audience, and what you want to achieve at the end of the project. We are ready to do research of your target audience before developing your SEO plans. Contact us now if you need any service related to your SEO requirements. Basic search engine optimization is not a difficult task. However, when you want professional results, you must use professional West Palm Beach SEO services offered by WebDesign499. Our West Palm Beach Digital Marketing experts give you measurable result. You can use different types of online analytics tools to see if the SEO Palm Beach plan developed by us is working for you. Our goal is to increase your website’s ranking in the search engine results with effective Palm Beach Internet Marketing strategies and techniques. We will help you capture a large share of your local Palm Beach County market. Our customized solution will drive targeted web traffic to your website. We have mastered the art of West Palm Beach Local SEO & West Palm Beach Digital Marketing. Call us now at (561) 506-0398 if you need to take your business to new heights with the help of our professional Palm Beach Digital Marketing services.